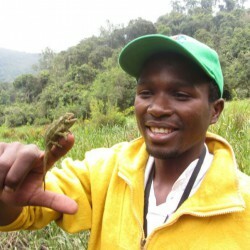 Faustin GashakambaMr Faustin holds a Bachelor's degree in Geography and has 6 years experience in land management and conservation. He has worked on different projects that look at applying GIS in various conservation and natural resources management and has accumulated a considerable experience in developing and deploying conservation-related WebGIS applications using open-source tools. As DIS Director, he is responsible for a wide range of activities promoting ARCOS profile and reputation and in particular leads the identification and development programmes and initiatives, the management of ARCOS Information System and the production of ARCOS outreach materials. Faustin loves outings and contact with nature and is an amateur photographer.